I’ve recently started making my bed. For the first time in… okay, my whole life. I never really saw the point- I’m just going to climb right back into it and no one is going to see it messy- so why bother with the effort? Well, this dreary, LONG winter really brought out a lazy side that I don’t often see in myself and I needed something to change. A pile of decorative pillows had been staring at me from the corner of my bedroom for a very, very long time. One ugly, freezing January day, in desperate need of something to spark motivation, I thought “I’m going to make my bed”. No real plan, just a random thought. So I tried it. 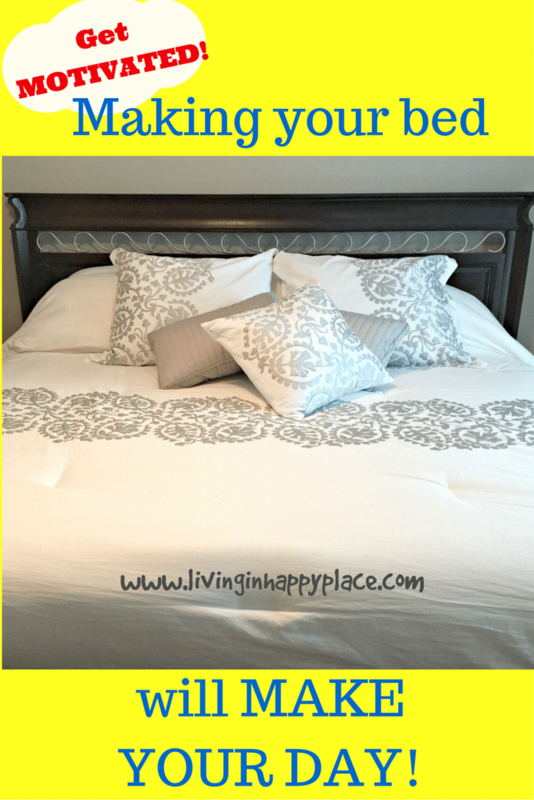 I made my bed – decorative pillows and all. When I was done, I stood there staring, kind of in awe. Why hadn’t I been doing this forever? It was like a light bulb went off in my bed (intentional pun). It felt like- ok, I did something and I can see the end result. Maybe if I do something else, it will work out too. And that day, it did. And it still does. Now every day, I make my bed. And you know what? It motivates me. If nothing else goes right, at least I accomplished one goal for the day. Every time I walk into my room, it looks clean and I feel empowered. With two toddlers and a day full of responsibility and filling needs- I feel like I have control over at least this one thing. If I can get up and make my bed (after coffee of course, let’s be reasonable here), then I can do the next thing on my “to do” list. My husband notes that if he comes home and the bed is not made- it was a bad day. I started thinking a lot about the power that such a small task had on my day. It truly had a (positive) snowball effect. It turns out that there is something to this making-the-bed thing. Here is a link to a pretty well-known speech by Admiral William H. McRaven to the graduating class of the University of Texas at Austin in 2014. It is awesome! Worth a read –or a listen as a YouTube video is included on the linked page. The speech is very motivating as a whole, but I am linking because his very first point happens to be about making your bed. 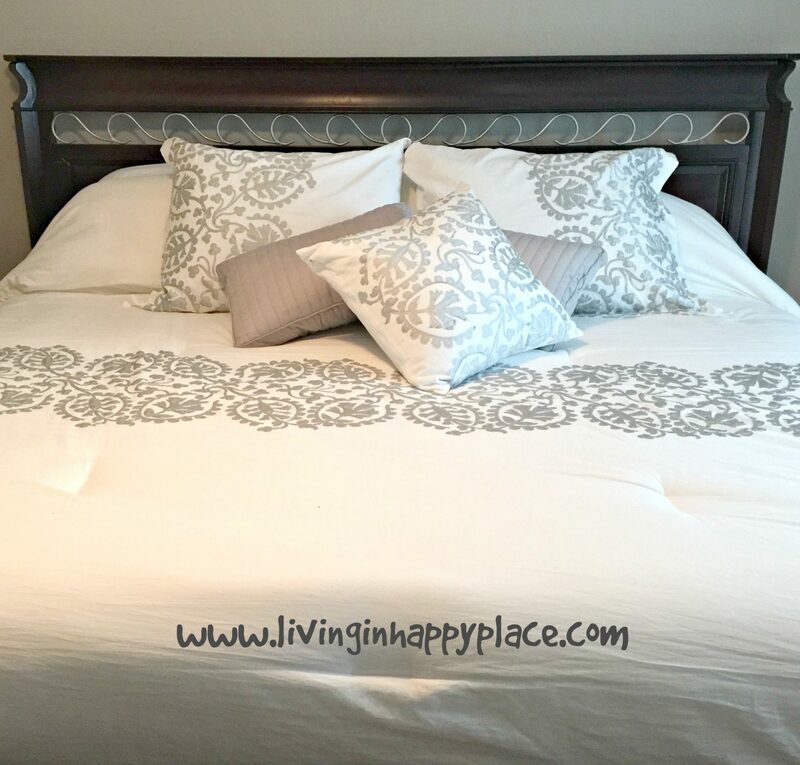 I was amazed when I first came across this because it highlighted everything I was thinking about making my bed (plus so much more). I promise this speech will motivate you! What do you do to get motivated in the morning? Leave a comment and share! Need a smoother wake-up? Try this amazing alarm clock from Hammacher Schlemmer. I’ve been using a version of this alarm clock for years (the newer model is even better!). It simulates natural sunrise with a gradually increasing light to wake you up more naturally. It also has options for aromatherapy and nature sounds. It can help keep your circadian rhythm. Don’t be shocked awake by a buzz or beep! Try a more gradual, smooth, natural wake-up!